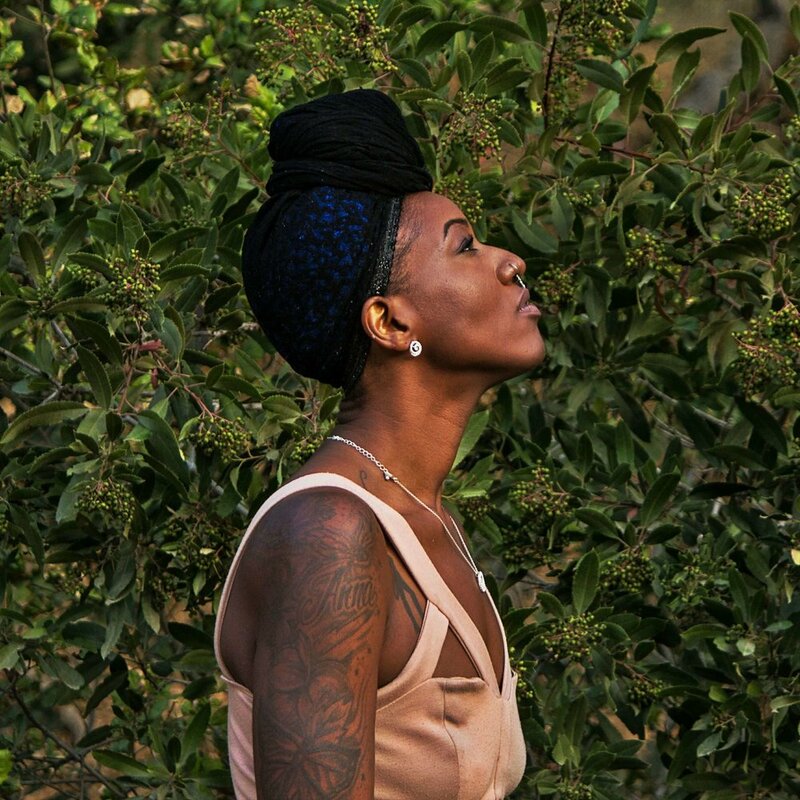 We connected with Los Angeles based Hip-Hop/Soul artist Mahogany Soul for an exclusive interview to talk about her EP “Evolvelution”, find out if her surrounding environment is reflected in her music and much more. After reading our Q&A with Mahogany Soul, be sure to connect with her on social media and stream “Evolvelution” on Soundcloud. Tell us about your name "Mahogany Soul". What does it represent for you as an artist? How did the name "Mahogany Soul" come about? It seemingly came out of nowhere but everything comes from somewhere...It was gifted to me from the universe...being an artist a great source of my inspiration comes from my being, my essence, my Identity and my experience, so Mahogany reflects my culture, my ancestors and my heritage. Soul represents the spiritual, cosmic unseen part of me that connects with all because at the root we all are soul-ular beings, hence the name "Mahogany Soul". Who did you work with production wise on the "Evolvelution" EP and how long did it take to finish the project? Were there songs recorded that didn't make the cut? On my current project "Evolvelution" there were no specific producers I worked with. I recorded it at "Real Line Music" in Hollywood, CA., my engineer/mixer's name is Alexi and that's who I've consistently worked with. Honestly a few of these songs were recorded over a year ago. I wasn't exactly sure where I wanted to go musically and artistically. As I grew in my personal/spiritual path "Evolvelution" came to me. I went in an re-recorded some of the tracks and even re-wrote some. I felt the energy I had at the present time was different than when I initially recorded them. So it took about a year to bring it all together. When someone listens to "Evolvelution" for the first time I want them to get a good understanding of Mahogany Soul not just the "Artist" but the being...I want them Black/White, Religious/Non-Religious to have an open mind and heart to the words and the message. And lastly I want them to feel the vibrations of Love, Light & Life. Would you say that your surrounding environment in LA is reflected in your music at all? I would say my music definitely reflects my city, Los Angeles...But I would also say that it mostly reflects my experience as a black woman in America and my evolution. It's also a reflection of the lives of others across the globe, humanity as a collective. But definitely a reflection of and for the people. If you could collaborate with any artist from the golden eras of Neo-Soul or Hip-Hop, who would you select? And why? So I have a love and appreciation for several artists past and present. So many souls that I idolize. But to narrow it down one for one off the top would be Queen Erykah Badu. I appreciate her artistry 360 degrees. She represents so many things that I value and admire...Pride in her ancestry, truth in her lyrics. originality; going against the grain. I get compared to her on several occasions not just musically but style wise and although as an artist I only aspire to be myself it's a major compliment! She's my soul sistah! As well as Miss Jill Scott and Miss Lauryn Hill! Can't forget those Queens. On the Hip-Hop aspect I'd have to say J. Cole and Kendrick Lamar. I respect them as artists because they are two black men who didn't let the Industry alter them. They have the ability to speak to the people where they are. They can make a "club" track "radio" track or "conscious" track and it still be authentic. And I feel they accurately reflect the collective and the evolved vibration of Hip-Hop. Interview: Pop Artist HoneyChrome Discusses His Brand New Single "Boomerang"